Wine Cowl Kurta with Full Embroidered Grey Waist Coat set. https://www.kalkifashion.com/wine-cowl-kurta-with-full-embroidered-grey-waist-coat-set.html 14990 Wine Cowl Kurta with Full Embroidered Grey Waist Coat set. 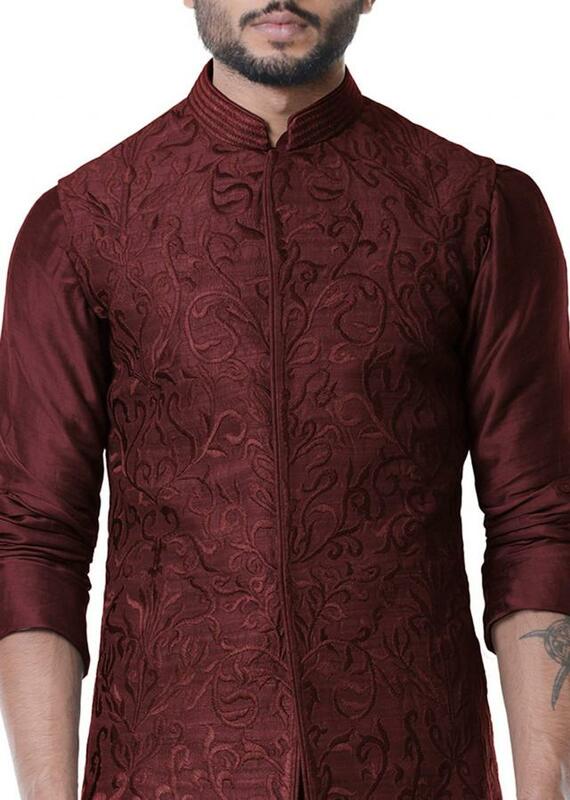 https://d8evit4zy2nlo.cloudfront.net/media/catalog/product/w/i/wine_cowl_kurta_with_full_embroidered_grey_waist_coat_set.-_411492_4_.jpg 389 389.0000 USD OutOfStock /Mens Wine Cowl Kurta with Full Embroidered Grey Waist Coat set. 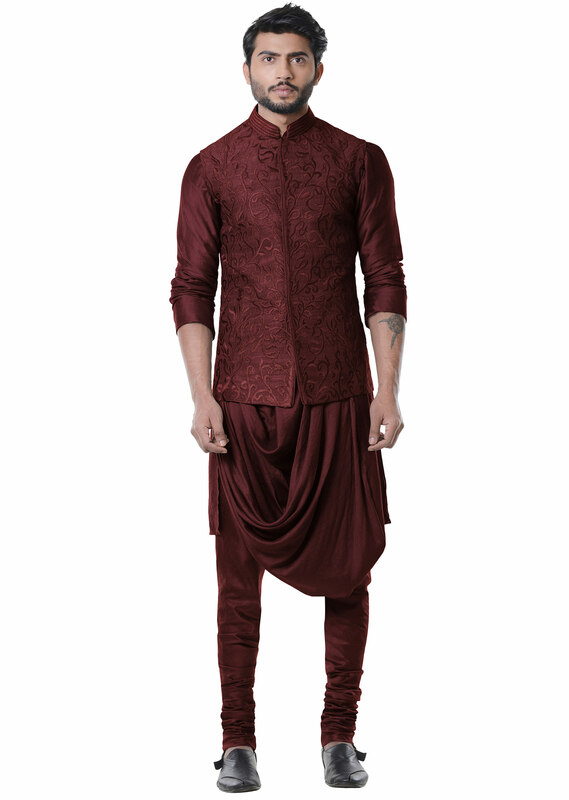 Featuring a Wine cowl kurta with grey waist coat set with full embroidery. FABRIC SPECIFICATION: The kurta is made of mysore silk and churidar is of cotton silk and the jacket is made of raw silk. 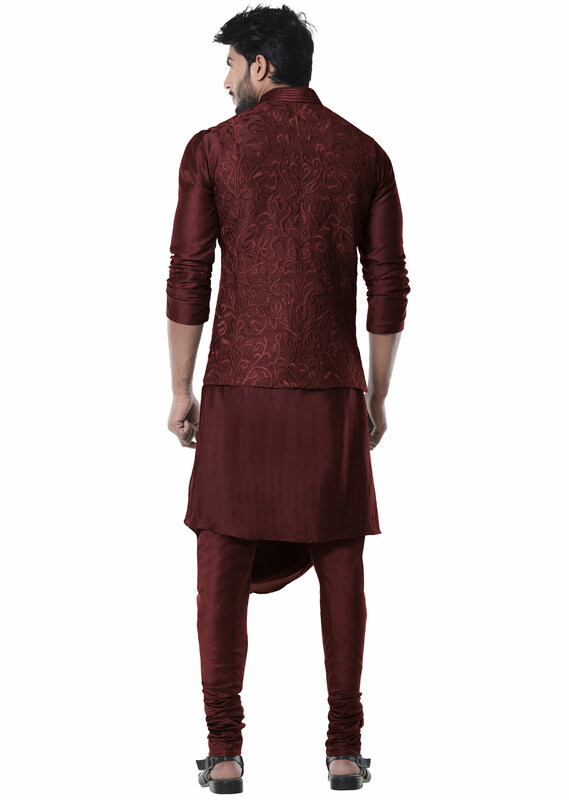 FULL LENGTH: The full length of the kurta is 45" and the full length of the jacket is 28".